This Traditional but chic Green and brown book folding card is made from decadent green and brown hand-made paper. 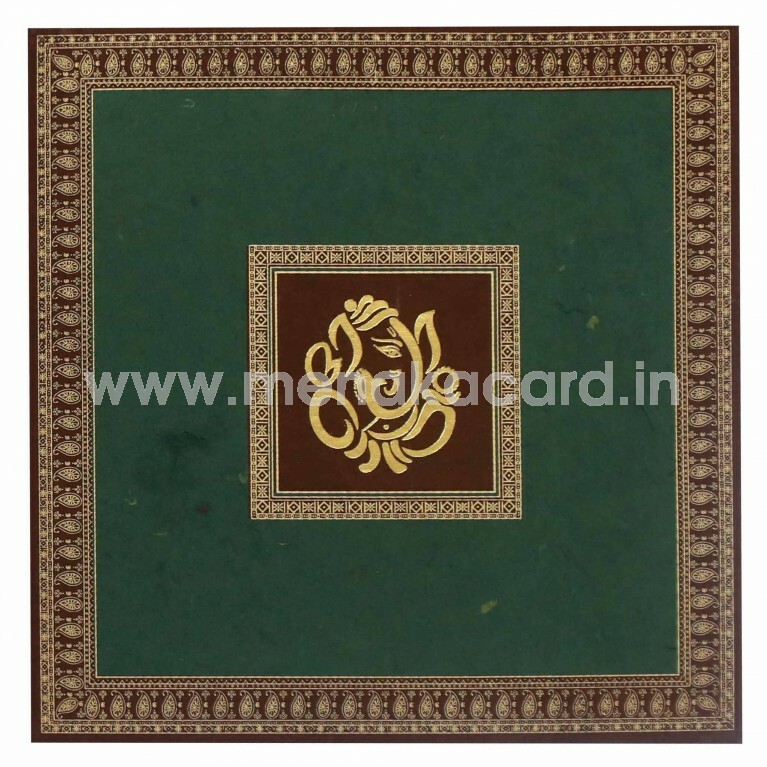 The front of the card is decorated with a graceful simplistic mango paisley design in gold ink sitting on a maroon border that frames the contemporary Ganesha seated in an ornate gold frame printed in gold foil. 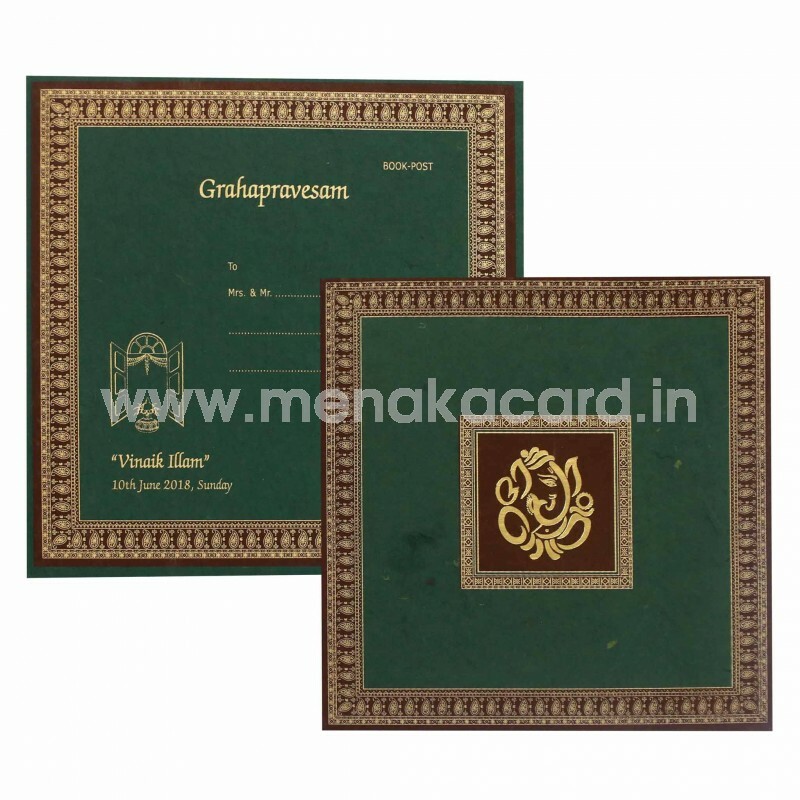 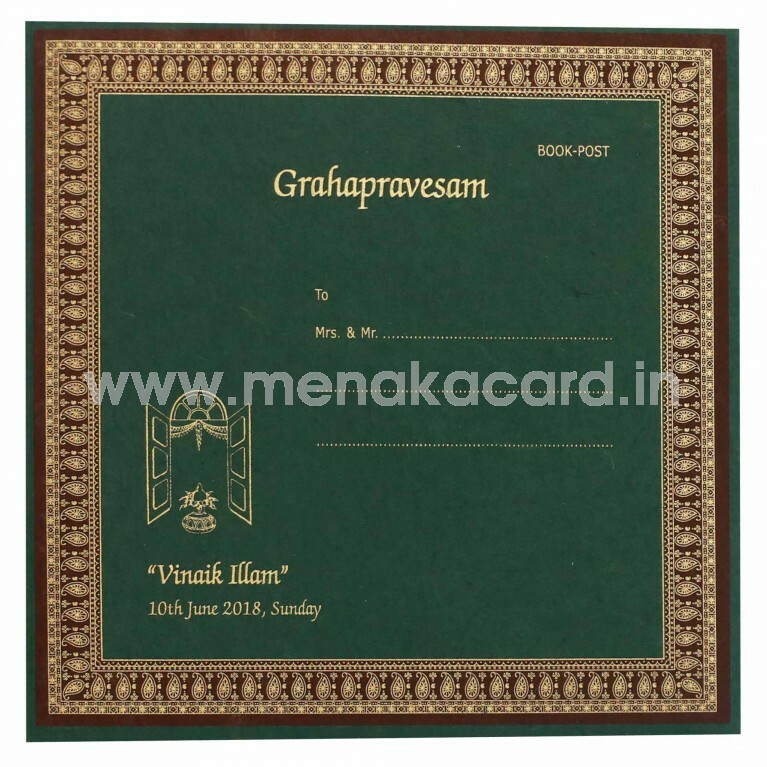 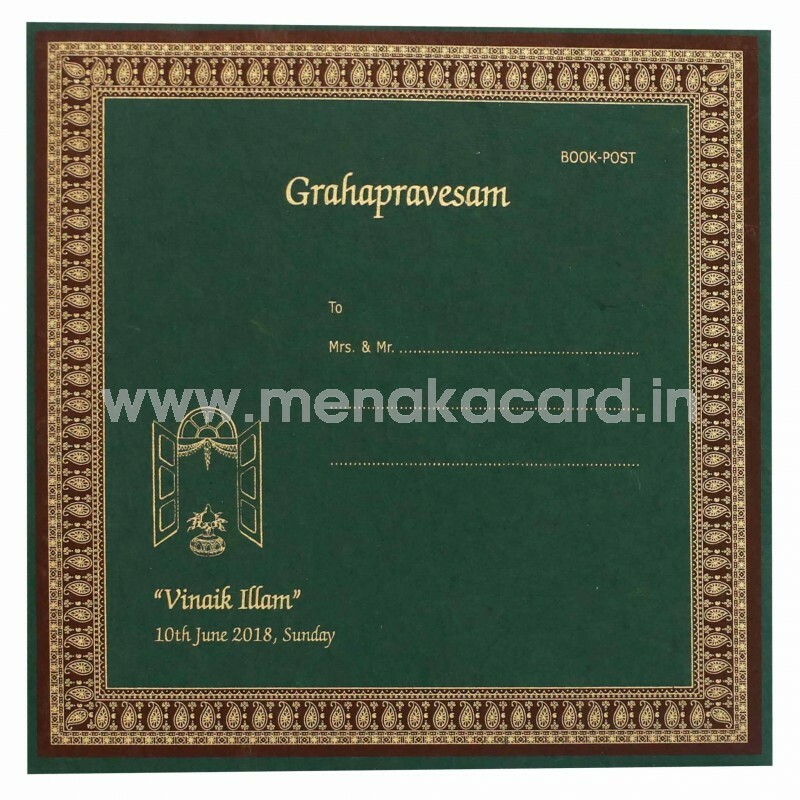 The hand-made insert sheet is stuck to the centre of the card and has the content printed in a rich gold ink. 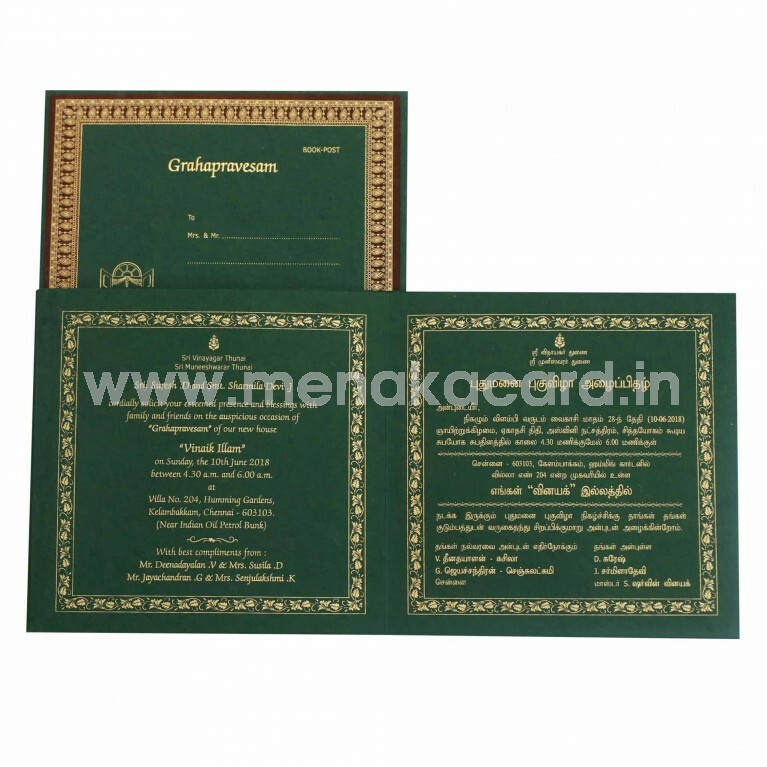 The envelope matches the card in both design and colour. This can be used for all Hindu ceremonies including weddings, engagements, receptions, upanayanams, grahapravesham etc.